Looking to share my shop! I am looking to share my shop. 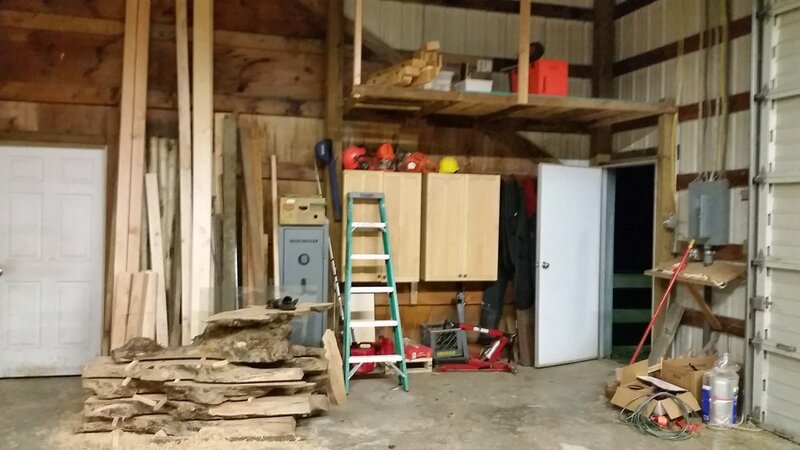 I have a bounty of space, tools, and wood + metal working skills. I do not have a specific idea of how this sharing of space, tools, and skill might look. It depends on where the most energy lies and who responds! Below are a few ideas. You are a skilled maker, and would like to collaborate on some projects. I have 101 ideas, and would love to hear yours. We can come up with ones that push both our skills and sound most fun to work together on. You may be wildly more skilled than me! You are comfortable with shop tools and techniques, and would like to assist with projects to gain experience and have a good time. You are a novice and would like lessons in wood and metal working. I never had shop in high school, and most don't in middle school, I could remedy that for 2 or three students at least! I have 5+ years teaching experience with all ages, and would happily work with people 10-108 years old. Say, meet once or twice a week, 6-9pm, and a few weekends we can decide as our schedule allows? We can sell things we make and share profits, you can pay me money, or share a bounty you have! I have a: table saw, chop saw, surface planner, metal forge, TIG welder, chainsaw mill, grinders, band saw, drill press, and a whole slew of hand tools and smaller tools. Newer PostA Vacation I'm Dreaming of!